I have been testing various recipes. I have tried three different recipes. For the first two trials, I sweetened the candy with lavender sugar. The result is a pleasing with a very subtle taste of lavender. 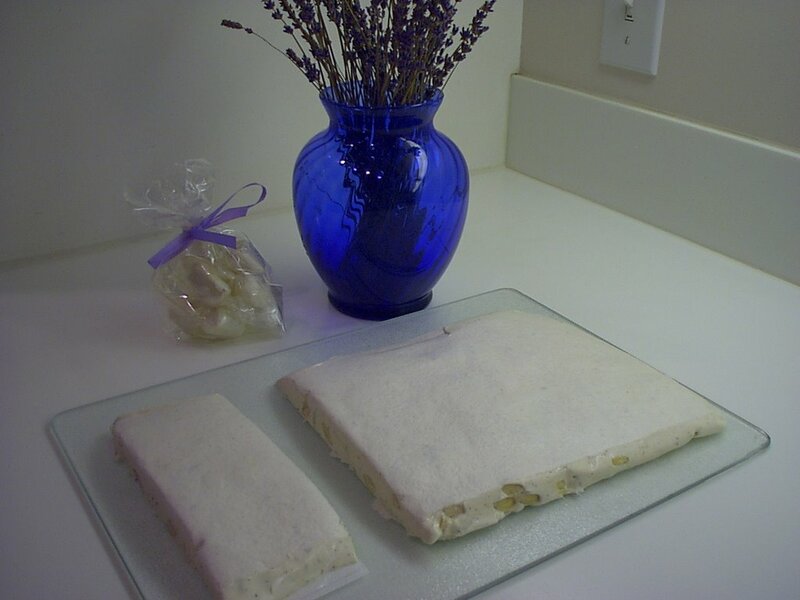 In the third test, I used lavender syrup along with lavender sugar to flavor the nougat. The third recipe is my personal favorite. The first recipe specified the use of toasted sliced almonds. 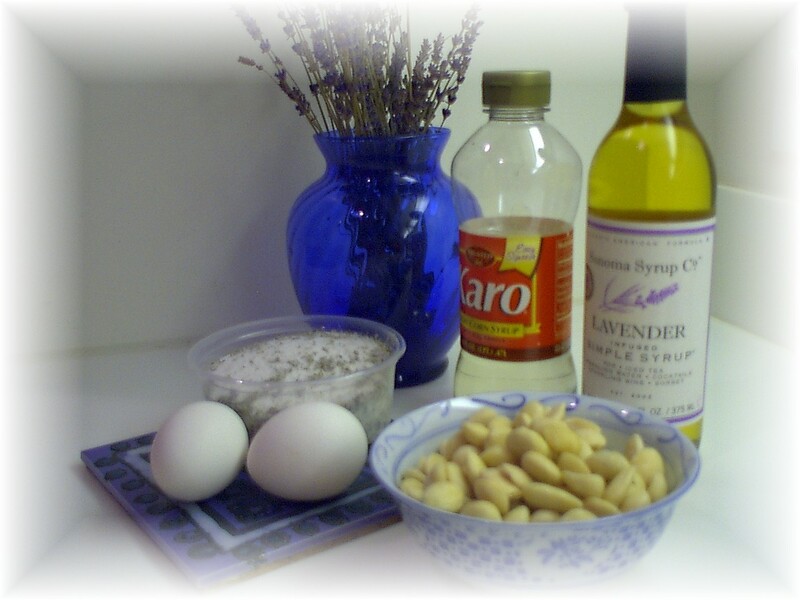 In the second version, I used whole marcona almonds. These almonds are grown in Spain, and are very sweet. The second recipe I used was a three step process. Whipping egg whites was the first step. The second step was to make thick sugar syrup and beating that syrup into the egg whites. In the third step, I made another sugar syrup cooking that to the softcrack stage about 280 degrees. This thick syrup is then mixed into the creamy egg mixture. After a lot of looking, I found individual cellophane twist wrappers. I discovered refrigerating the nougat makes it very firm and easy to cut. I like tiny pieces- ½ inch by ½ inch squares. The candy is so sweet, a little goes a long way. I have to say when you put one of these nougat candies in your mouth; you experience the sweetness of the sugar, a subtle hint of lavender and then the rich nutty almond taste. This little bag of sweetness will be gift for a special friend.